AHG is excited to announce the formation of a National Program Committee with a focus on girl Troop leadership positions! Do you have a passion for the girl leadership experience within the Troop? 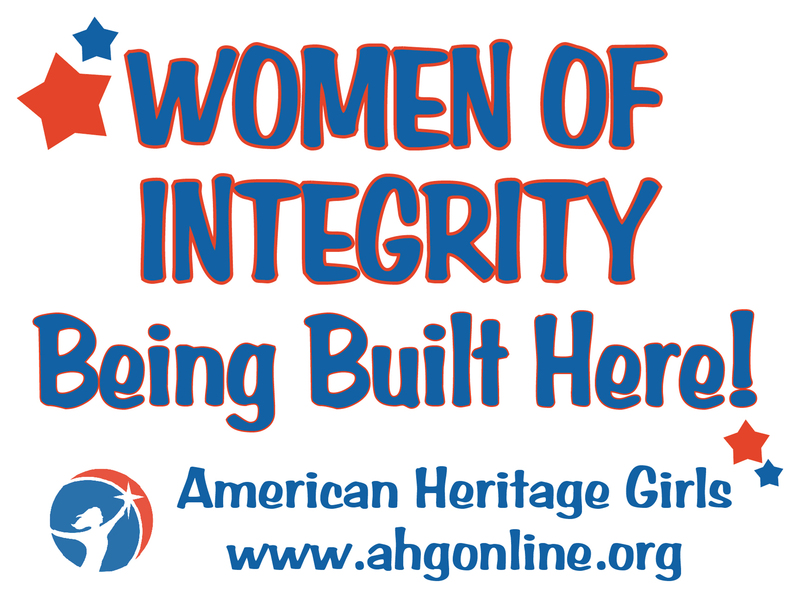 Are you a parent, Leader, Patriot, or Alumna member of AHG with a desire to serve with others on an AHG National Committee? Please apply if you are excited about this opportunity. The purpose of the committee is to design dynamic, Christ-centered girl Troop leadership positions guidelines which incorporate balanced and progressive programming across all Program Levels and to define standardized position titles, expectations, and outcomes. The committee will work towards a reveal at the AHG 2015 Convention. If God has captured your attention with this opportunity to serve, please complete the National Program Committee Application. Applications will be received through February 15, 2015. Selection and notification of chosen applicants will be completed by February 20, 2015, with the first inaugural committee meeting to be held the week of February 23, 2015. Please contact Brenda Bayliss, National Program Manager, at baylissb@ahgonline.org if you have any questions. Around here, we get most of our search hits from people who are looking for badge helps, but trying to broaden our focus a little. One feature we’d like to add is a Shepherd‘s Corner — short articles, at least monthly, addressing various aspects of a Shepherd‘s role. How do you encourage the girls’ spiritual growth? Know each girl and family, keeping an eye out for disengagement? Support the spiritual lives of the volunteers? Fun devotionals or teaching lessons? Promote and support the religious recognitions programs? We’re looking for a couple of experienced Troop Shepherds — past or present — who would be willing to contribute their thoughts on the Shepherd’s role. You would just need to email your text and any graphics you wish to include — we’ll handle the posting and such. We do reserve the right to edit for mechanics and clarity. Up for trying it? Let us know! We’ll be looking forward to reading more about this tomorrow. In the meantime, here is a snippet from American Heritage Girls’ Facebook page. AHG is thrilled to announce a historic signing of a Memorandum of Understanding with the Lutheran Church Missouri Synod in St. Louis tomorrow! We are grateful for God’s provision and for the opportunities that await the girls in the LCMS Church! Also you can tune in towww.KFUO.org to listen to Patti Garibay live from 11:30-noon and speaking about this wonderful occasion! Learn more about our other denominational relationships on the AHG website. Lots of Troops participate in Operation Christmas Child by packing shoeboxes — SC7777 took it a step further and helped get those shoeboxes ready to head overseas. Take a look behind the scenes of what happens with your shoebox once you drop it off! One of the requirements for the Sacagewea Level Award is for the girls to make a “poster, scrapbook, or PowerPoint presentation” explaining what they like most about AHG. Olivia Cheng of TN2011 instead put together this adorable video to share. Enjoy!